There are not many places in the world that combine the variety and beauty of Crete. Crystal clear beaches, stunning mountains, healthy climate and cuisine, history and culture. 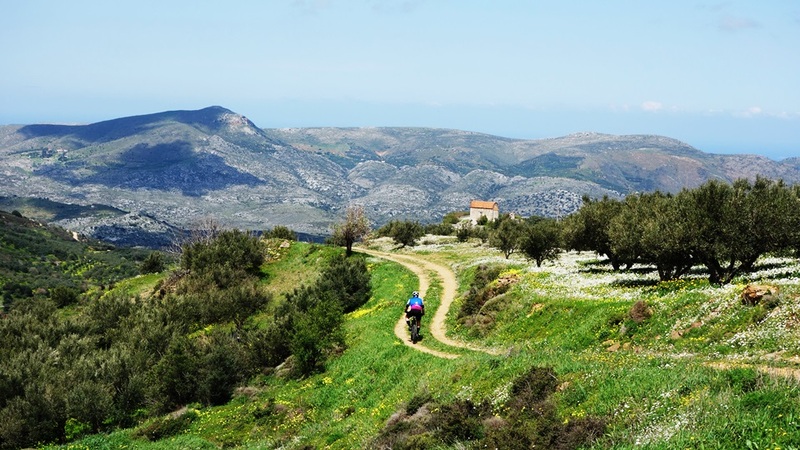 The best way to explore real Crete is by mountain bike regardless you are a professional cyclist, sports fan or nature and culture lover. Crete is the southernmost island of Europe. The climate is mild, Mediterranean. The ideal months for cycling are the spring and autumn. Summers are relatively cool because of the sea breeze and the northern and northwest cool seasonal winds. Winters are mild with many sunny days, rain and snow on the mountains. 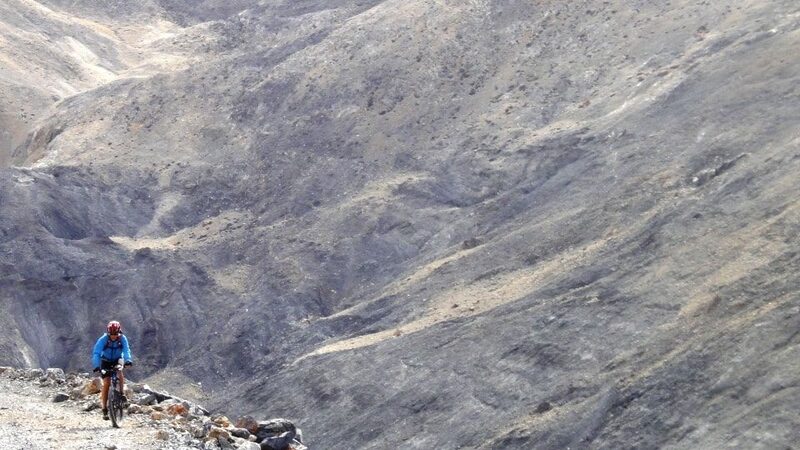 Given the extent of the island and the existence of large mountains climatic variations from place to place are big, so we can search for the area with the best for the season conditions for cycling. 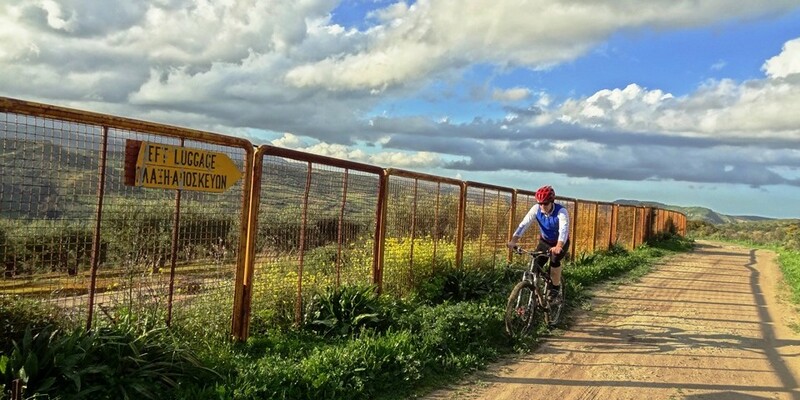 In Crete, the cycling season lasts 365 days. Crete is the largest island of Greece and the fifth largest in the Mediterranean Sea. 8,000 square kilometers surface, 260 km length, 1000 kilometers of coastline. It is very mountainous with big variety of landscapes: high mountains, plateaus, canyons, forests, caves, beaches, areas with aromatic herbs, forests of olives, vineyards. 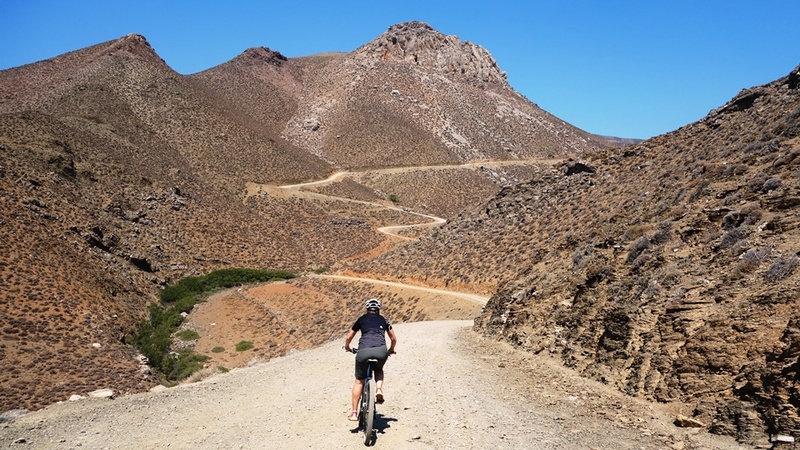 In Crete a mountain bike tour can start with the crossing of a mountain with snow and finish with bath on a beach with crystal clear waters..
Cycling is a hard and demanding sport. Cyclists should eat well and healthy. 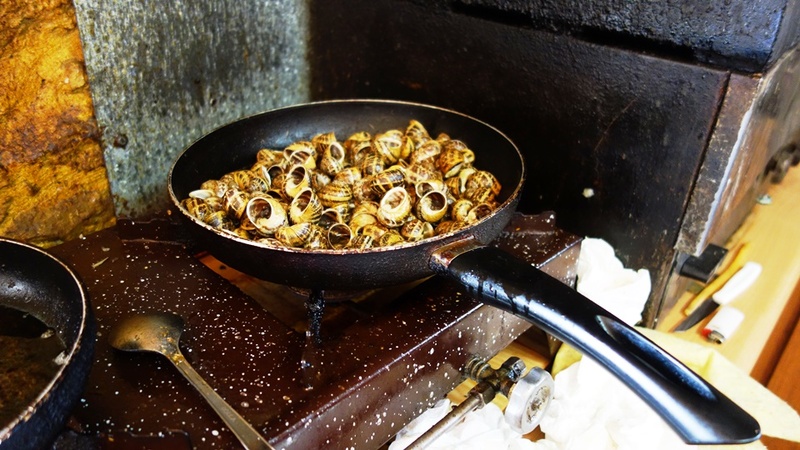 The Cretan cuisine is the healthiest and meets the nutritional needs of the athletes. 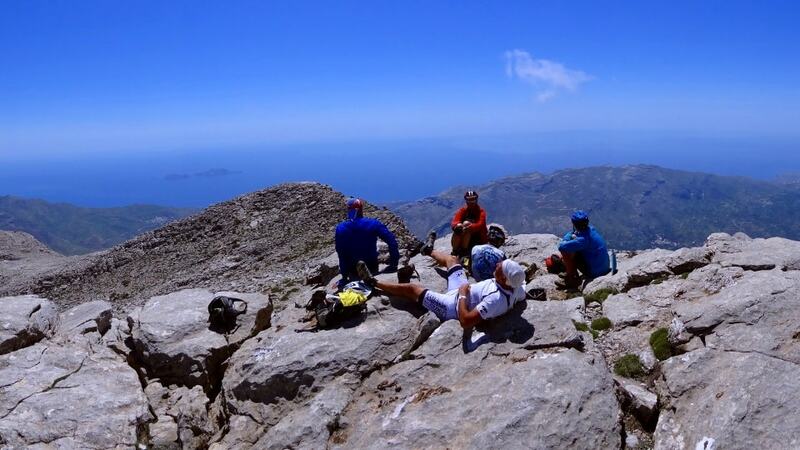 Based on the use of olive oil, vegetables, bread and pasta products that we need to fill our energy stores, and the necessary for restoration cheese products, fish and meat..
Crete is the safest island for lovers of outdoor sports. 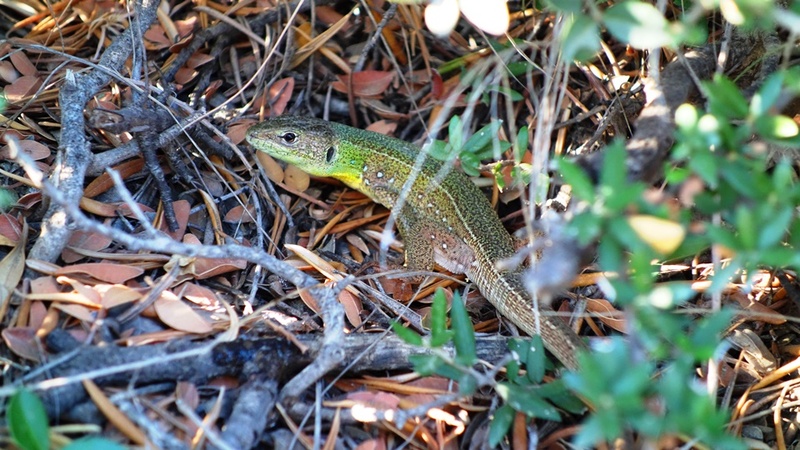 In the island there are no dangerous wild animals, poisonous snakes or dangerous fishes. According to the mythology the father of gods Zeus to delight the Cretans (ancient Curetes) who helped and protect him as an infant, freed the island from the poisonous snakes.. 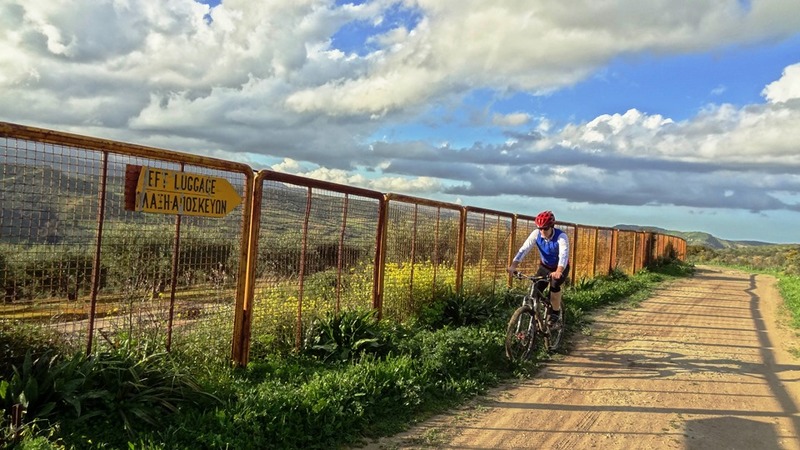 The road network that is offered for off road cycling in Crete is huge. Farmers except in few areas possess many small fields in many different locations. For most of these fields there is a dirt road. 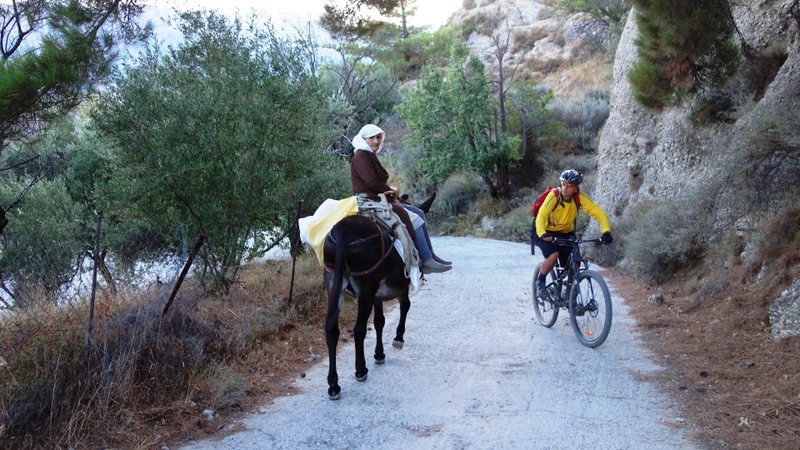 You could say that one of the favorite activities of the Cretans is the construction of rural roads. 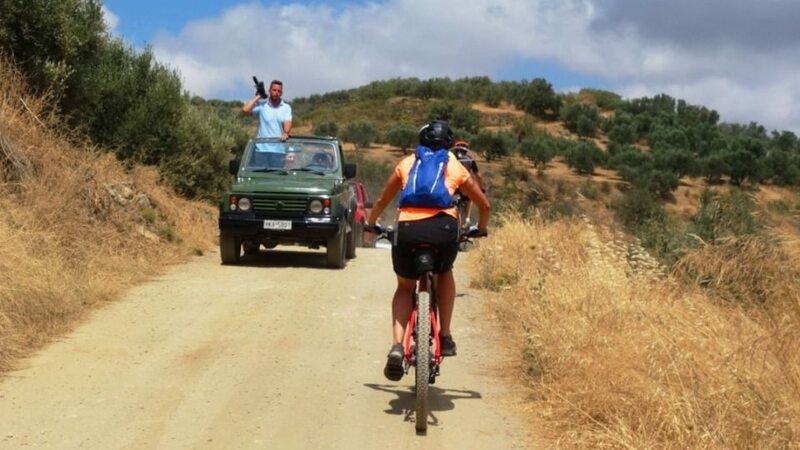 Furthermore the difficulty to maintain the roads in good condition makes mountain biking in Crete a unique adventure. 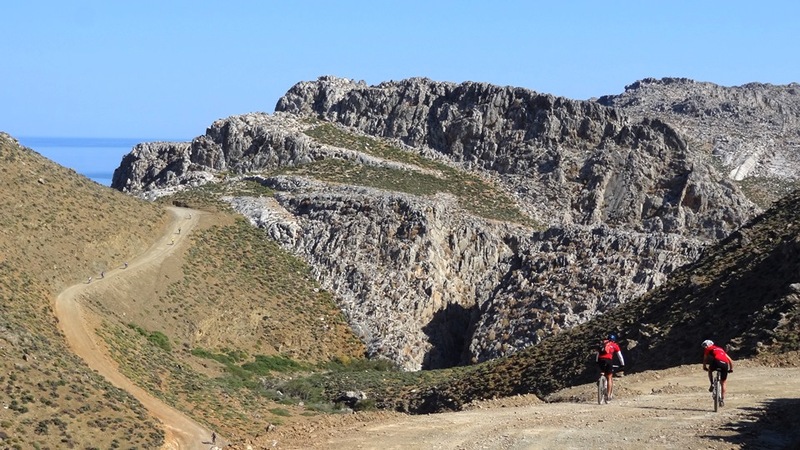 In the long history Crete has to show countless monuments, Minoan Palaces, ancient Greek cities, Roman aqueducts and theaters, Byzantine churches and monasteries, Venetian towers and mansions, Ottoman castles. Each bike is a journey through history. Touristic development: Crete is the most famous touristic destination in Greece. You will find from 5 star luxury hotels or agritourist residences to the remotest villages. Taverns and cafes that are open all year. Three airports (two international), foyr harbors and regular bus service the entirety island. Whatever season you come Crete is ready to welcome you.. The hinterland of Crete, despite the development of tourism is still a virgin touristic destination that still maintains its traditions and authenticity. 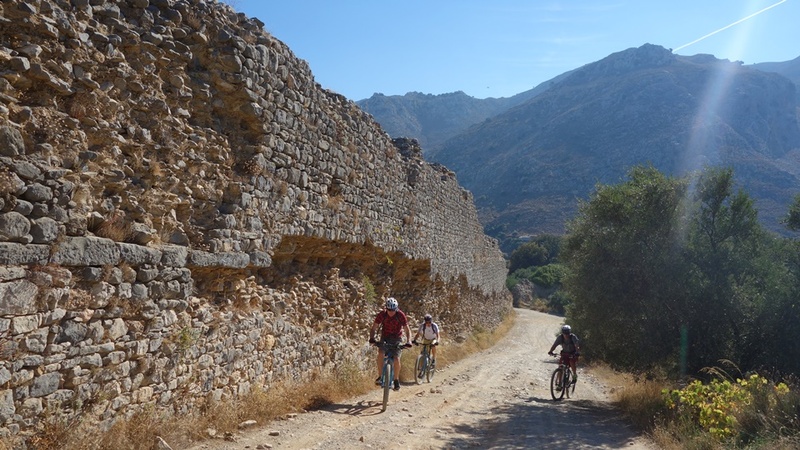 Very few have visited the island by bicycle and even fewer have explored the authentic Crete. 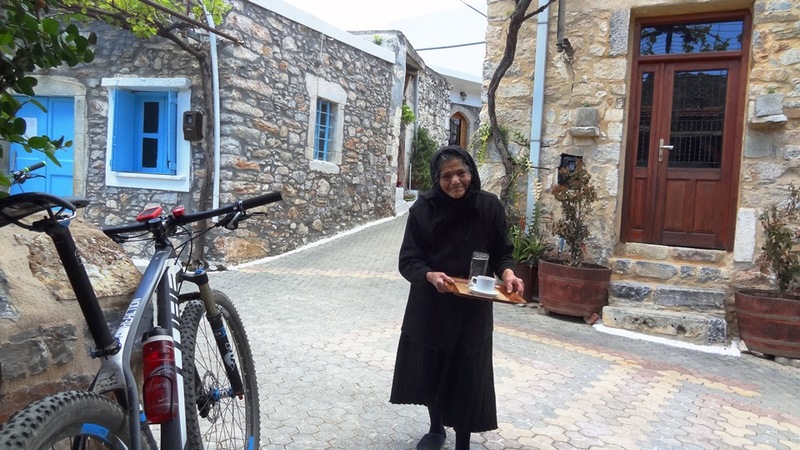 The bicycle is the best way to visit real Crete. Do not be surprised if you ask a Cretan to fill your bottle with water and he invites you to his house for coffee, raki or a meze. Cretans are hospitable people, accustomed to treat their guests and offer them the best that they have in their home and their fields. 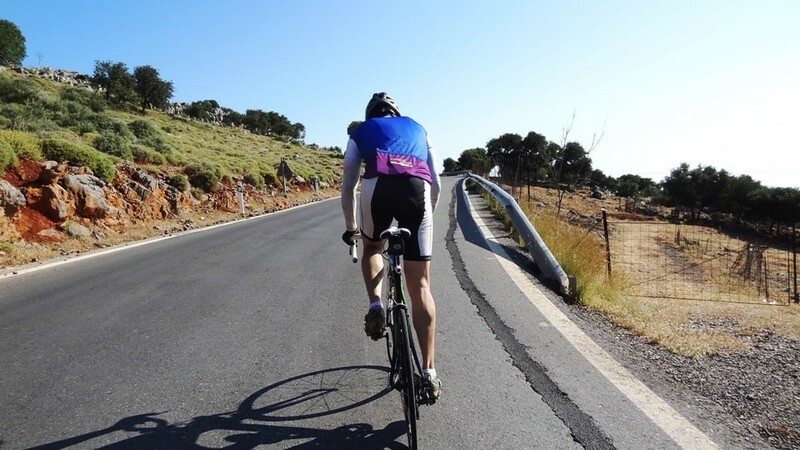 It is no coincidence that Zeus the king of the gods and protector of hospitality was born and raised in Crete..
Cycling in Crete is not just training or a tour, it is an experience of life.